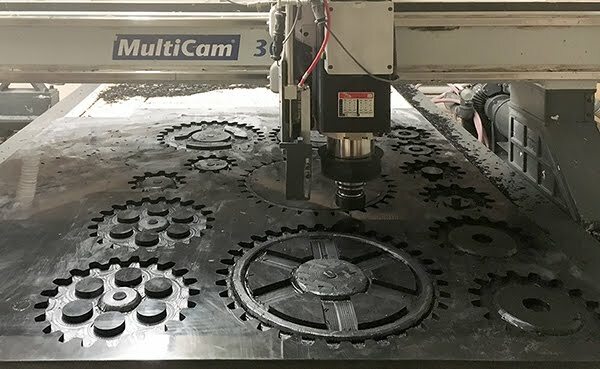 We’ve made plenty of projects with gears through the years but this is the first time they will actually move and interact. That meant they had to be accurate without any fudging. 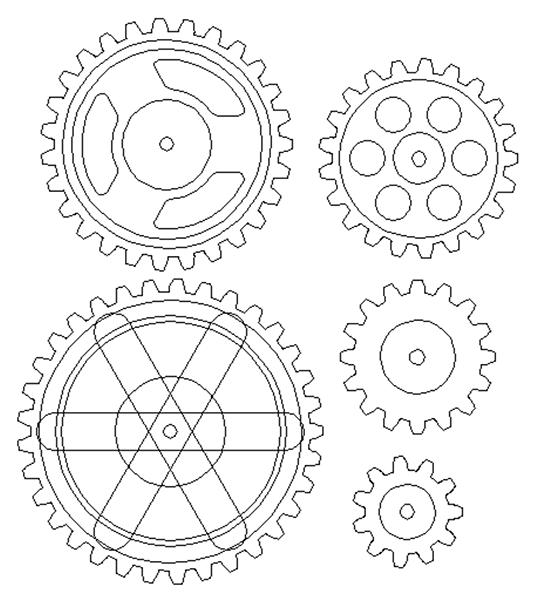 A friend sent me a link for a simple gear making program a while back and using it made it easy to create the DXF files for the gears. 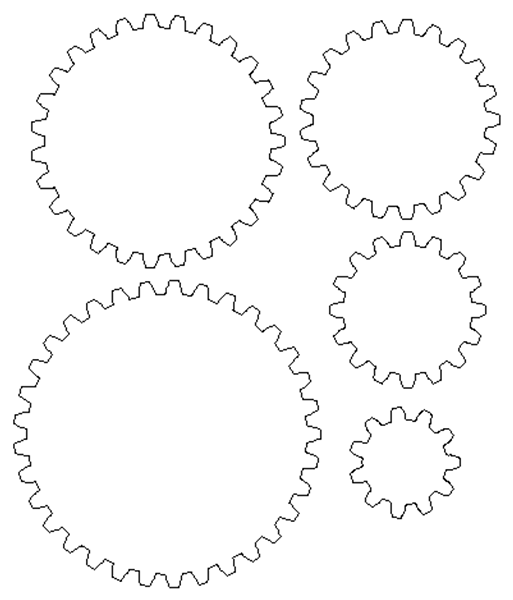 I made five different sized gears all with the same sized teeth. These files were imported into EnRoute. 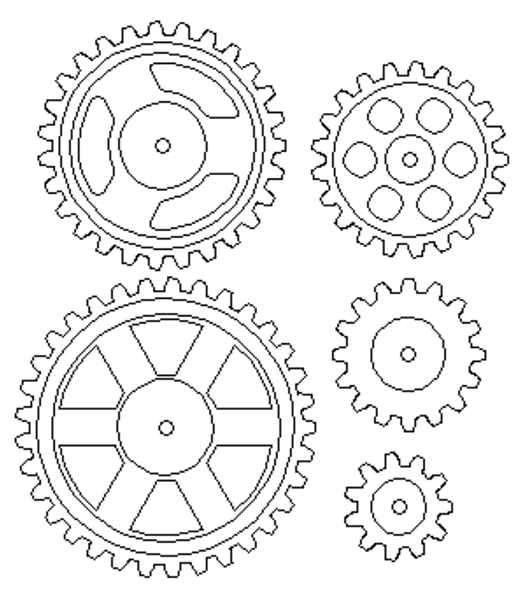 I built reliefs of the various gears with the teeth being 0.4 inches thick. The hubs and rings were built up from that point. 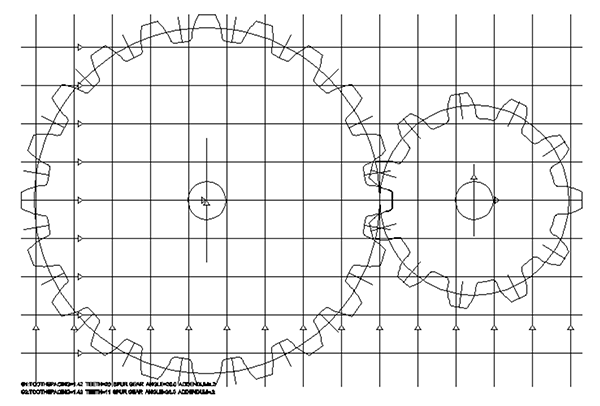 Once the gears were complete I duplicated them and tool pathed them In this case the reliefs and offset cuts were done with the same tool – a 1/4″ end mill.